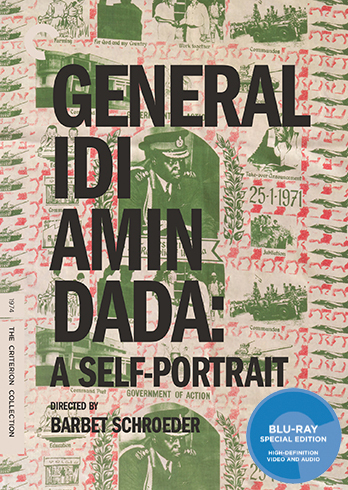 Watching Barbet Schroeder's General Idi Amin Dada: A Self Portrait in 2017 is a sobering experience. Here is an unfiltered portrait of a despot, given free reign to explain his methods and ideology, spouting self-aggrandizing nonsense and displaying a shocking lack of understanding of history and international politics. The film is a chilling look at the unchecked authoritarian ego, and all I could think about while watching it was how how much former Ugandan dictator Idi Amin sounded like Donald Trump. “I’ve got a very good brain. Everyone knows that.” Amin boasts at one point, sounding like he reached into the future and started cribbing President Trump's Twitter page. But Schroeder had no idea Trump was coming back in 1974, he was simply observing the megalomania of a self-styled dictator who hated Jews, praised Hitler, and let no opportunity to brag about his own greatness go by un-seized. Schroeder contradicts Amin's bogus claims through voice-over occasionally, but for the most part he just lets the General speak. And speak he does, rambling on and on about his relationships with world leaders, boneheaded policy ideas, and ludicrous military strategies. He even musters the Ugandan army to reenact his strategy for taking over the Golan Heights. He willfully cheats at sports, stages elaborate rallies for the camera, and styles himself as a man of the people rather than a real politician. And yet everything about him is a show. He may seem like a bumbling oaf who knows little about the subjects he pontificates about at length, but everything is coldly calculated to appeal to his base. He's blunt, gregarious, even charming, beloved by the people for saying whatever is on his mind. Here is a man appearing to stick it to the elites, the colonialists, and putting Uganda first, while actually doing none of those things. Sound familiar? That's what makes General Idi Amin Dada such a chilling film. Newly released on Blu-Ray by the Criterion Collection this year, the film has taken on a disturbing new significance. Prior to this year, it was an unnerving look at authoritarian delusion, but now it almost hits too close to home. The film has now been validated by current events, it's power and prescience confirmed by America's own wannabe dictator. Amin was a brutal and dangerous leader, a murderous monster who nevertheless comes across as jovial and plain-spoken. Yet in his own words, we begin to see the true man beneath, hauntingly bursting forth when questioned by a prominent physician near the film's end. When I first heard the film's title, I assumed "Dada" referred to the avant-garde nonsense movement of the early 1900s, and that the film was perhaps some sort of dadaist presentation of Amin's reign. Instead, it is actually part of Amin's name. Still, one can't help but think of the dadaists while listening to the freewheeling absurdity coming out of Amin's mouth. He even bears resemblance to Alfred Jarry's infamous dadaist oaf, Ubu Roi, a profane clown king that shocked audiences when it premiered and closed on the same day in 1896. But Amin was no fool, which is what makes him so terrifying. 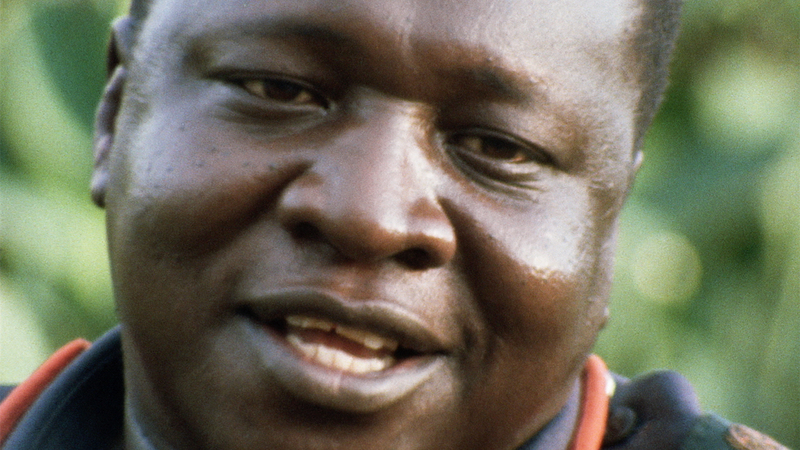 General Idi Amin Dada remains a haunting portrait of authoritarian egocentricity that should serve as a cautionary tale to future generations. Unfortunately, I fear that future generations have already failed to heed its warning. GENERAL IDI AMIN DADA: A SELF PORTRAIT | Directed by Barbet Schroeder | Not Rated | Now available on Blu-Ray and DVD from The Criterion Collection.